Our leadership team is charged with the high-performance culture of the business. 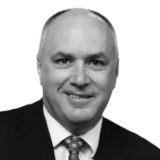 Prior to joining Calibre Peter was with Transfield Services in the roles of Executive Finance Officer - Sydney (2013), Executive VP Finance & CFO - Americas (2010-2013) and CFO - FT Services Canada (2006-2010). In addition Peter held various other key finance and accounting roles within Transfield Services. Peter holds an MBA from UCLA Anderson School of Management and National University of Singapore, a BComm (Economics/Finance) from Macquarie University and is a Certified Practising Accountant (CPA Australia). As Executive General Manager, Matt is invested in expanding the reach and capability of the Technologies team. For Matt, leadership is all about relationships. “It’s about understanding and supporting people, aligning and developing their capabilities and potential, and giving them something to work towards. Matt has worked across a number of industries including over ten years in site-based operational roles, and has worked throughout Australia and on a number of key international assignments. He holds a bachelor of electrical engineering from Curtin University. Outside of his role at Calibre, Matt can be found down at the beach supporting his boys, or writing and producing his own songs. A multifaceted musician, Matt plays guitar, bass, piano, a little harmonica, as well as sings. He is up to his third album. George has 30 years of experience in the civil construction, oil & gas, iron ore and gold industries. He has been responsible for the delivery of major projects involving the construction of mine, rail, road, bridge, marine and tunnel infrastructure. 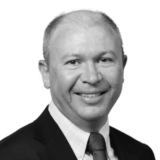 Prior to joining Calibre, George worked in senior positions for companies such as BHP Billiton, Fluor / SKM Joint Venture, MacMahon, Multiplex, Walter Group and Baulderstone Hornibrook. His experience and knowledge make George a leader who leads by example and strives to motivate others. He holds an honours degree in Civil Engineering from Curtin University. Having started his career at Diona while completing his studies, David brings to the business 21 years’ experience in the industry. He particularly enjoys working on complex projects and working with clients to solve challenging problems. As a leader, David is dedicated to team building and has created innovative pathways for Calibre and Diona teams to achieve high results. 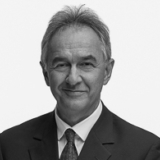 In addition to his operations role, David is Chairman of Calibre Group Limited. In 2009 David establish a Registered training Organisation servicing the infrastructure sector, which has grown to be a key player in this space. He performs a non-executive board role for a labour hire business and is also part of the NSW Civil Contractors Federation Board. David enjoys all things action, including enduro riding, snow and water skiing, and cycling. He is also a passionate advocate for cancer research, helping to raise over $500,000 in the last four years for the Chris O’Brien Lifehouse and the Cancer Council. David is also committed to batyr and is aiming to raise $1m by 2020 to support a future free of stigma around mental illness. Whilst Brisbane is home, Craig has lived and travelled extensively around the world and enjoys sharing with his family the experiences that new cultures, cuisines and points of interest provide. “I have met, worked and dined with some very fascinating people. We never stop learning or growing and I have always taken something new and original away from all the people I’ve met.” Craig enjoys cycling, snow skiing and golf. 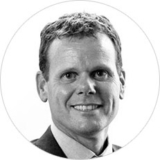 During his career Craig’s responsibilities have included finance, commercial, strategic planning, treasury, taxation, company secretarial, ERP/IT and investor relations. 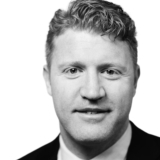 Prior to joining Calibre, Craig was previously Chief Financial Officer at Ausenco and has held various senior finance roles with Energy Developments, NRG Energy, Billiton plc and BHP Ltd.
Craig is a Chartered Accountant, Finsia Senior Fellow and AICD graduate member, holding an MBA and dual Commerce and Law degrees. Haley believes that “an engaged, empowered and enabled workforce which is comprised of the diversity that exists in our communities is key to a company’s success” – a business practice and belief that is aligned with Calibre’s own, 'Turning Knowledge into Value'. With involvement at National level, Haley is also a member of an executive peer group within the Male Champions of Change Institute (MCC) – a coalition focused on gender equality and achievement of change across the public and private sectors. The MCC is committed to improving diversity, gender balance and indigenous participation in the workplace. Haley has a passion for art, photography, and music, and enjoys spending weekends with her children exploring the cultural reaches of Brisbane. 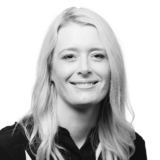 Haley holds post graduate qualifications in leadership and organizational change with RMIT, is a member of the AHRI, and is currently studying a Masters of Business Administration at Deakin University. 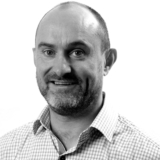 Bruce brings a wealth of knowledge and experience to support the growth and direction of Calibre. 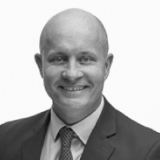 Bruce brings over 15 years of consultancy experience complemented by 30 years of industry experience in delivery services to predominantly local government clients across New Zealand. Bruce’s approach centres on building and maintaining positive working relationships with clients as well as the development and well-being of our people. Charlie lives in Sydney, New South Wales with his wife Johanna and children Ryan, Zara and Joel. He holds a Bachelor of Civil Engineering from the University of Ulster, Northern Ireland. After growing up in Northern Ireland, Charlie started his career in London with The Kier Group, who he worked with for eight years. He brings to the business over 25 years of complex infrastructure experience. He enjoys working collaboratively on complex projects and solving challenging problems. He’s committed to creating business synergy across all aspects of the Calibre group to ensure that our combined talent delivers the best possible outcomes. As a leader, Charlie is dedicated to building teams and has created opportunity and progression for Diona’s teams to prosper and achieve high results. “I firmly believe that the people make a business successful, looking after them is my first priority. It is through teamwork and enjoying the challenge that Diona succeeded in raising turnover from $115M to a forecast turnover of $240M in two years. Our focus on safety, quality, financial performance and partnering relationships is improving year on year." During his long tenure with Diona, Charlie has played a crucial role in building several long-term valued relationships with key clients such as Sydney Water, Transgrid, Ausgrid, QUU, APA and Energex. Charlie is a dynamic person who appreciates time to reflect, enjoys fishing, bushwalking, playing soccer and road cycling. He is also a strong advocate for Batyr (a mental health charity for young people) and is instrumental in driving Diona's commitment to raise $1m by 2020.